So following on from the big life-changer of getting my driver's licence at the start of the year, I decided it was about time I bought myself a car. Isn't it pretty? After I got my licence I was more than happy waiting a while and driving a hired car around before having the money to buy one, but then I found out you can't hire a car in most places in Dubai until you've had at least 1 year of driving experience on your licence. It took me 8 months to buy this for a few reasons, the main reason was that I didn't want to get out a car loan for something that will only depreciate in value over time. Also by waiting until the summer months to make a purchase a lot of the prices went down on used cars for sale, so I think getting a 2012 Mini Cooper (Baker Street edition) with only 3000km on the odometer for just under 80,000 AED cash wasn't too bad. I knew I wanted a small car, as I wasn't entirely confident in my parking skills yet, and this is perfect for me and my lifestyle in Dubai. I'm seeing Dubai in an entirely different light, and getting out of my area a lot more now and quickly filling up my time with gym, shopping at the Fruit & Veg market, cooking said produce, driving to cafes to work on my research project. I'm trialling different jogging paths around the city so I don't get bored with the same route. So if you live in the city and see a bad driver driving this car, it's likely me. I already had a mild accident in the Dragon Mart car park which was my fault, nothing major thank goodness. My January so far has been less than great. New Years was celebrated on a flight from Amsterdam back to Dubai, then I had a deadhead Milan flight (which was all kinds of awesome!) but then the night that I landed I was hit with the worst bout of gastro I've ever experienced. I'll spare you guys the very disgusting details, but it was downright brutal. I spent 5 days on the 'BRAT' diet and by the third day I was going nuts - stomach was getting better but it messes with you mentally as your taste buds crave proper flavour and spice. It isn't going to do next month's pay packet too well either - there's a massive gap of about 10 days where the only flight I've operated is a Muscat, 37 min there and 50 minutes return. It's all good though, in a way it was my body's way of telling me I needed to recharge. December, in contrast, was actually pretty good - I basically felt as if I was living in Europe without having to deal with the cold rainy weather on a daily basis. 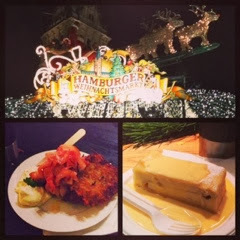 Hamburg (x2! 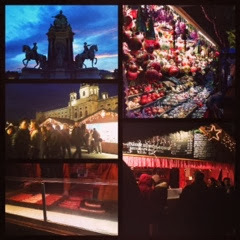 ), Stockholm and Vienna was full of Christmas market glory. As to which ones are the best? 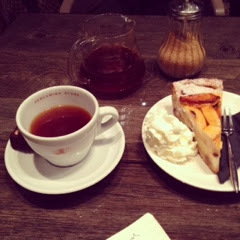 I guess Vienna had better handicrafts, whilst Hamburg had the better food. I'm still dreaming of the potato cakes with bacon and lashings of remoulade. There was also a stall that had cooked mushrooms - *just* cooked mushrooms - served with this creamy stuff that may have had booze in it - it was amazing. I'm so glad Christmas only comes once a year because there is no way my heart can take all that cholesterol again for another 8-9 months at least. 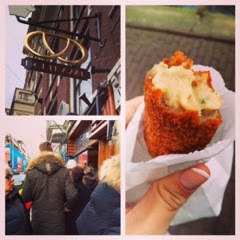 Speaking of cholesterol, my European bonanza continued in Amsterdam - the final flight of the year. The Airline added another daily flight to it's roster which is operating the Boeing, so now I can fly there on layovers again :-D I missed the place like crazy, especially the croquettes at Holtkamp, so of course I joined the queue and bought some frozen logs of goodness to take back with me to Dubai. Regardless of the weather there, I always make myself hire a bike and ride around the city, though doing so on New Years eve was a little crazy as people were already getting sloshed and setting off fireworks even before sunset. It would've been nice to have stayed for the celebrations, but alas, I had to operate AMS-DXB and the clock struck midnight somewhere whilst I was airborne.